Firstly a mention for all those’s that have been affected by this incident, I hope that you all get to where ever it is your looking to get to, if its going home for Christmas, being with family, having a holiday with a difference, celebrating something special, my thoughts are with you. We live in an age of technology that is forever, being reinvented, becoming widely available, fun to use, allowing people to become creative in a way they never knew they could. We can see our planet in detail, decide where we want to go thats of interest, keep in contact with family and friends and makes new ones, just some of the amazing things we can do in life that 30 years ago was just a dream. But even though technology can be great to use and fun, it can be used for the wrong reasons, used against us, be disruptive, make it harder to use, and may endanger others. A drone is called many things, quadcopter, drone, UAV, remote controlled device. It can be small and use 4 propellers and fit in a rucksack, they can be big and have 6 or more propellers. It uses a battery, can have a small or large camera attached to it that can be used to photograph, film, heat seeking, do 3D mapping. It can be used to carry medical equipment to remotes areas not possible to reach by land and cheaper than a helicopter or airplane, help in search and rescue, do surveying, map an area for research. New experimental technology with the use of drones is ever evolving and getting better and safer. Many for the past couple of years have been using drones for commercial purposes like survey buildings and landscape and large engineering works to name some. For them to be able to do this, they need to sit a course and apply to the CAA (Cival Aviation Authority) for whats called a PFCO (Permission For Commercial Operations) and have to make request for some of work they do. It can be cheaper to employ someone to do a survey with a drone than to put up scaffolding or harness them by ropes that can be dangerous to do surveys or inspections. Basically it can be any job that requires the drone pilot to be commissioned to do the job, and because of their PCFO, they get permission to get closer and enter heavier populated areas, but still meet CAA guidelines. Generally there are two types, RC hobby enthusiasts or buy off the shelf ready made. RC hobby enthusiasts, can spend hundreds of pounds on buying parts and putting it all together and making something unique, yet safe and using incredible engineering skills. They can be small and really fast and use for drone racing. This involves flying at speed through obstacles laid out on a track. Because the speed and the need for a realtime view of the track, they will use special googles that are connect to a small camera on the drone, these can be very expensive but gives a real good view of wha the drone is seeing as it fly’s round at speed. This type of hobby is actually starting to see national and international championships setup and sponsored, for the audience watching can be a bit like watching a Grand Prix race with its spills and thrills. Large drones can be just as interesting, with meets at remote control flying clubs, sharing expertise and information on how they put it together etc, you could say it’s a bit like a car enthusiasts meet. 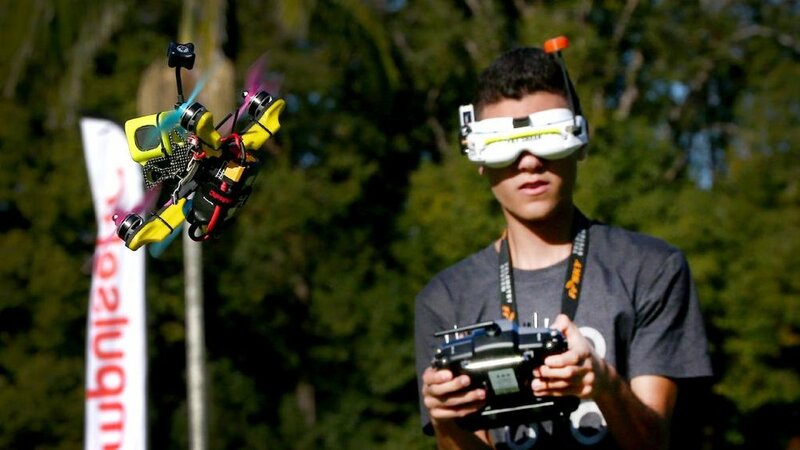 For the RC Drone hobbies, it’s a meeting of fellow enthusiasts and showing of their engineering and creative skills and a more social type of use of drones. Buy of the shelf can be as little as £30 to well over a £1,000 plus. The cheaper end can be more like a toy and can fit in the palm of your hand. They don’t have any camera’s or very long flight time with maybe about 6 minutes before you need to charge the battery up again. As a toy you can fly it around a room and not really do any real damage unless you’ve got a very expensive heirloom on the mantelpiece. As you spend more they can have a camera fitted and fly up to 25meters in distance, but can have the risk of flying out of your control. The thing to remember is that you can’t go out in the garden, street, park with lots of people around as they are still govern by the CAA regulations. When you start looking at spending £500 mark, you might get a better camera and maybe GPS that will help it remember were it took off and return home feature, but they don’t have obstacle avoidance and can be easily flown into a tree or wall. Finally as you look at the top end over £900 plus, people will go out and purchase something like a DJI drone. DJI are one of the biggest companies in the world and make drones for commercial and recreational pilots. They don’t skimp on safety as their drones come with cameras with ability of 4K video and images up to 20MB, obstacle avoidance, GPS, intelligent batteries with flight time up to 30 minutes, geo-fencing and features like Hyperlapse, track mode, tripod mode and recording of flight distance, height, speed and flight path, which is all recorded at uploaded to DJI server systems. As DJI drones have in the pass been used for illegal activity, they have come up with technology which is mobile and can be used to track DJI drones and if needs be, bring them down and record the drone pilots position. This is about a company that takes responsibility for their drones they sell for commercial or recreational use. They incorporated whats called geo-fencing that if a drone enters restricted airspace they will go no further and land or return home. Why do people spend so much money on a drone? For some, they just like drone flying, but it’s also brought people who are interested in film and photography to be able to create amazing images or film. This is probably the main reason for recreational use of drones, and has allowed people to enhance their love of videography and photography. 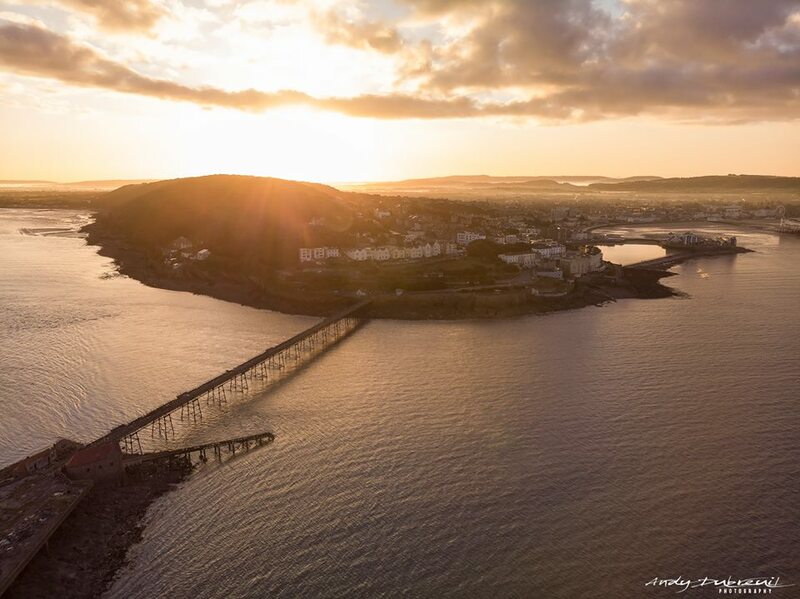 Videography is about telling a story through film of places of interest to the drone pilot, some are so talented that their work is well recognised and has lead them to investing in becoming a commercial pilot. For photographers like me, it gives a new composition to a landscape which can only be captured from the air, and is a great tool to have in your camera bag. The quality of camera has got better and better over the years for the small compact drone, before you would have to spend thousands of pounds on a drone that can carry an SLR camera. At around £1,500 a small compact drone with an amazing camera can do just as good a job as a SLR. Observe your drone at all times and must be in line of sight. Stay 150ft away from people and property. Stay 500ft away from crowds and built up areas. Maximum distance from pilot is 500meters. You are responsible for every flight. As a drone pilot is responsible for each flight, most will go that one step further and take out public liability insurance incase of an accident and hurts a person or damages a building. To make sure drone pilots know if the area they are looking to fly in is allowed, they will use an app like NAT’s which is design by the National Air Traffic. It allows you to check the area your looking to fly in and make sure its not a no fly zone, it also allows you to record your flight and notify National Air Traffic when and how long you intend to fly in that area. Also check websites for areas of interest that might have no fly zones for drones, but this is a bit of a grey area as you can legally take off from outside the area and fly above, as some would say that places that say you can’t fly, don’t have the authority to control the air above them. There is also a section that you cannot film people with a drone, but if you are of a height were an individual cannot be recognised, you’er within your rights to fly. Also for photographers that take landscape images and post them on their website, can legally sell prints as they were not at the time commissioned to take the image. Well during this year, there has been a public consultation and drone pilots have had a chance to have their say as others. New regulations are due to come in effect in November 2019, yet to be set out. There is a call for registration of drones, some sort of course for recreational drone pilots, the taking out of public liability insurance being mandatory. These are all good things and most who are recreational pilots agree with this, but would like to see more. Like when flights are recorded, they are run in real-time so that other drone pilots and aircraft can see the drone on some mapping system, real-time information of police or emergency helicopters coming into a drone pilots airspace so they can take action and land their drone if needed. These things will make flying a drone safer and with mandatory obligations will sort our the ‘weeds from the flowers’ as they say, and anyone that doesn’t follow the regulations will have the full force of the law on them. But like with all things you can make legislation and regulations, but if someone is intent on breaking the law they will, but it doesn’t mean you should come down heavy or have a blanket ban on all drones. They can do good, make businesses and be used as a recreational pursuit as a hobby. The images and videos made by them end up in social media or places like YouTube and can be a great asset in a way to the tourist industry, which they don’t have to pay for, as images and film of beauty spots, does make people want to go and visit themselves. If you see a drone pilots, they are more than happy to talk to you and explain what their doing and why (as long as it’s safe to). We are not monsters and thugs looking to ruin anyone else’s fun of the landscape or look to endanger people or animals, they have invested a lot of money to get where they are. What has happen at Gatwick Airport is dreadful and appalled by many commercial and recreational drone pilot communities, and they want to see these people face the full force of the law, but don’t want this to be seen as this is how all drone pilots act, as this as far from the truth as it can be, we are responsible people that recognise that we are in charge of something that if not use correctly can harm, but we have learned how to control a drone and to take invasive action if needed. If you have any questions on this blog post, I would gladly answer them, as well if you’re interested in getting a drone and not sure what to get, then I would gladly give you some advice. The media has reported that the head of the police investigation, are questioning the idea of there was ever a drone in the area or not, because of the lack of evidence in images or video that can actually confirm they were taken at the airport. With the amount of people who work for the airport and the news media covering the story, only two videos have been show, but can’t confirm they are either a drone or filmed at Gatwick Airport. There are a lot of unanswered questions and evidence, yet two people were arrested and had their identity plastered all over national media and have been found not to have anything to do with the incident. I hope they take action against the media for giving away their identity before found guilty. It seem’s this incident maybe something or nothing, yet the drone community fears that action will be taken against them, when the fact is there is no proof as of yet that a commercial or recreational drone was responsible for the closure of Gatwick Airport.